Happy Hump Day! For all those who've been asking, I'm feeling much better today so I think I'll be able to avoid another ER visit. Thank goodness! 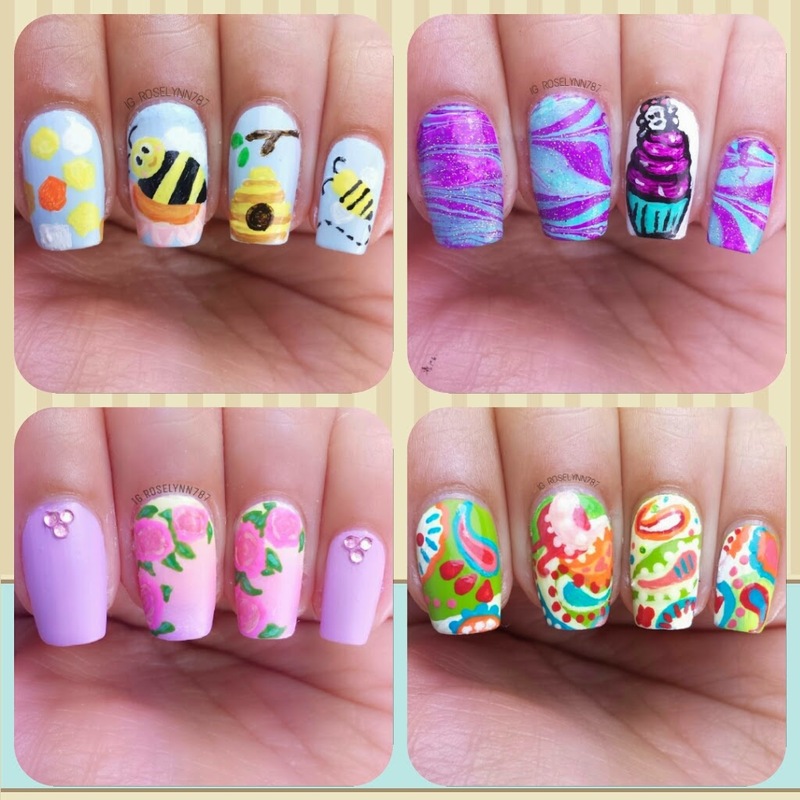 I absolutely hate it when I'm sick because it means I can't do nail stuff. It's seriously all I think about. Feeling better also means I can do my little happy dancing whenever I get mail, which I wasn't able to do all last week. Maybe one day I'll make a gif of myself, haha. I'm sure everyone would enjoy that. Anyways I've been dying to share this with all of you for the past few weeks, but I wanted to make good use of the product before I shared it. I finally feel comfortable enough since I've been using these pretty much all month long. Today I'll be reviewing a set of 4 nail art brushes that I received from the Born Pretty Store. One of the most common questions I get asked is where do I get my brushes. Let me tell you something, I buy a lot of brushes. Mostly because I find that after some heavy usage the bristles wear down really quickly. It's so frustrating when this happens to a new brush especially the ones that are expensive. Almost $15.00 for a brush? Yeah, no thanks. This month I was sent for review a 4-set of brushes from the Born Pretty Store and I couldn't have been more excited. 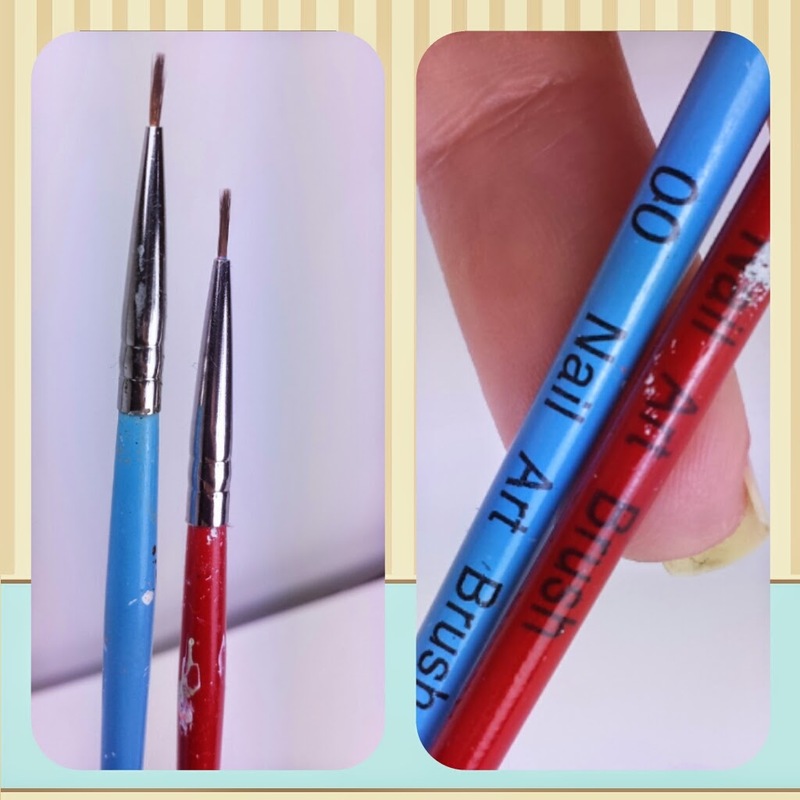 I've used these brushes for all of my intensive art mani's this month. There are 4 different sizes and I've found myself using the '0' and '00' the most because they're the thinnest. As you can see in my photos, the handles for both have paint all over from using them all the time. I never took the before shots because I was that excited to try them out. Here's what the other two sizes look like, however, note I haven't used these two just yet. Overall I have to say I'm absolutely very impressed with these brushes. Like I said, I have been using them a lot this month and they have not worn down whatsoever. Quality is great, strong but soft bristles. I didn't even have to cut them or shape them like I usually would with other brushes. 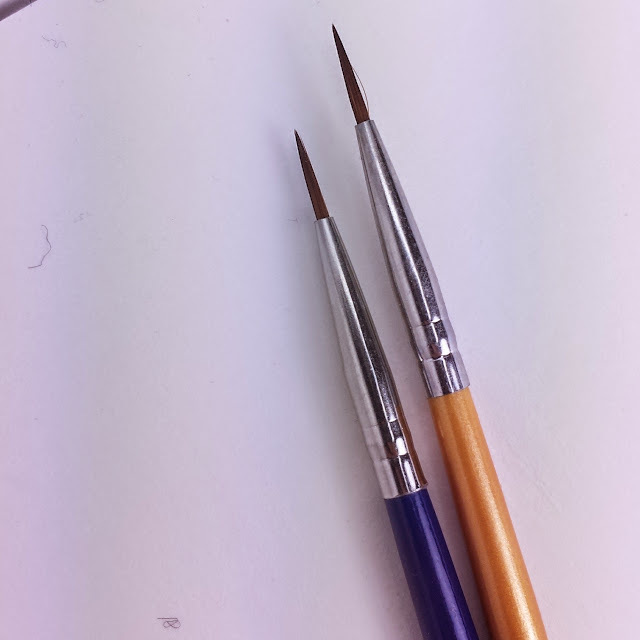 Of course, they won't compare to superior details brushes but these are great for starting up. I've owned a lot of brushes from various sources (eBay, Michael's, etc) and these can compare to some of the high quality expensive ones I've owned. I don't use nail polish or acetone with these brushes, only acrylic paint and water. Remember, no matter how great a brush may be, if you don't care for it properly it will wear down quickly. However, another good purchase point about these brushes, is that they are in fact very inexpensive for the quality. The set of 4-brushes is available at Born Pretty Store #465 for only $3.51. If you use my code ROHG10 you'll receive 10% off your purchase and as always free shipping. Shipping will take 3-6 weeks, but if you're like me, then you'll find it worth the extra time. I hope you guys have found this useful. Let me down in the comments, what's your favorite art tool? Thank you for following me :) I hope to talk to you more. I checked out your blog and it's pretty cute and followed you back on GFC. Thanks for the review on these brushes! I'm definitely thinking about trying them out. What do you recommend for cleaning brushes if you have used them with nail polish?